Are you keen to start a work-at-home career – and become your own boss? You’re not alone, my friend! More and more people are ditching the office cubicle and opting to work from the comfort of their homes. In fact, nearly 8 million Americans worked from home in 2017! The good news is that this new way of working is attainable to anyone who has a computer, a mobile phone, and internet connection. There are plenty of legitimate work from home jobs out there that’ll pay you good money. The not-so-good news is that there are also countless fake jobs which people often fall for. According to a survey by FlexJobs, at least 17% of job seekers have been scammed at least once. 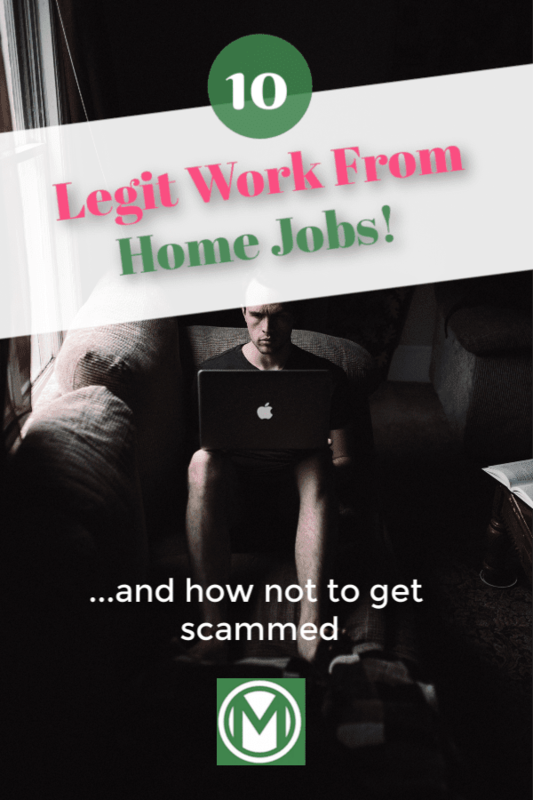 Having realized that there’s a growing interest in work from home jobs, scammers have turned this into a business opportunity, and are using it to make a quick buck out of unsuspecting, hopeful job seekers. But don’t worry – because today I’m determined to make landing a legitimate work from home job a whole lot easier for you. Want to hear something scary? 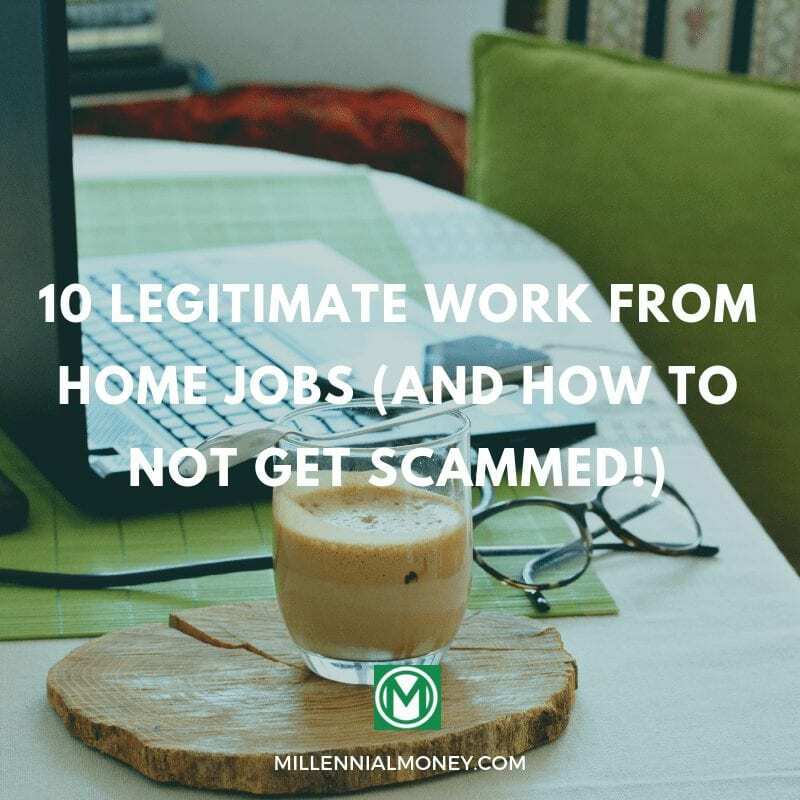 According to FlexJobs senior career advisor Brie Reynolds, for every legitimate work from home job, there are 70 scam jobs. 70! 2. By cheating you out of your hard-earned money. They both sound equally bad – and not something you’d ever want to experience, right? 1. Know what a scam looks like. Are you familiar with the proverb, “keep your friends close, and your enemies closer”? Knowing well what scams tend to look like is a sure way to protect yourself from falling for one. Scammers may come up with new ways to cheat job-seekers, but most of their tricks are variations of what’s been done before. Do a quick search for “work from home scams,” and you’ll see examples of what’s out there. Company offering you a dream work-at-home job you just can’t resist? Make sure you do your research. Does the company have social media pages? Are there any reviews of them online? Do you know where they are physically based – and how easy is it to get hold of them on the phone? Also, you could do a quick Google search of the name of the company + “scams.” If anything suspicious comes up – you’ll know not to get involved. 3. Remember this – most legitimate companies won’t ask you for money. If a company wants to charge you to “work for them,” it’s not a job – and most likely a scam. Paying to work for someone just doesn’t make sense, does it? The companies that hire you to work from home won’t ask you to pay for the privilege (the only thing you may need to pay for is a criminal record check!). Additionally, you may need to buy some supplies for work – but the company hiring you should never be the one selling you stuff. If it is – it’s most likely just a way to cheat you out of your money. 4. Use common sense – and keep emotions in check. This one’s kind of a given, but when we get excited about an opportunity to earn lots of cash, it’s easy to let emotions take over. Keep them in check and use common sense. If an opportunity seems too good to be true – it probably is. Otherwise, why isn’t everyone doing it? 5. If a company advertises or promotes itself as a “legitimate” – it most likely isn’t. Finally, it’s highly unlikely that a company that offers legitimate jobs will market itself as being one in advertising. If they really are legitimate – they shouldn’t be trying so hard to prove it, right? And now – here are 10 awesome legitimate work from home jobs that will earn you money – not rip you off! You’ll be able to find the majority of these types of jobs on job search sites like Glassdoor, CareerBuilder, and Indeed – but I’ve also provided additional info for each job. Remember, doubting everything isn’t a bad thing when it comes to work-at-home jobs – even if the posting is on a reputable job board. If you enjoy writing (and are good at it! ), why not consider working as a freelance writer or editor? It’s the ideal job for working from home – or anywhere you like (as long as there’s internet connection). You’ll need to build a portfolio for starters which may involve setting at a lower price at first. But, once you have gained experience and have a portfolio to show your potential clients, charging reasonable rates won’t be difficult. Do you have excellent organizational skills? Have you mastered time management? Sounds like a virtual assistant job may be for you! Work may involve things like live chat support, research, financial tasks, email management, social media management, proofreading, and other tasks. Ultimately, you get to decide which services you offer based on your skills and what you feel comfortable doing. A career in transcription offers great flexibility – but there are lots of scam jobs in this field! General transcription involves transcribing audios like business recordings, webinars, interviews, phone conversations, and more. Once you have experience in transcribing, you can specialize in a field (like medical or legal) – and earn more. Transcription Certification Institute and Transcribe Anywhere offer courses, info and job boards for those looking to start out as transcriptionists. Do you speak another language? Then you could consider working from home as a translator. You’ll most likely need to get certified first – but that’s a small price to pay for a legitimate work from home career, right? There are many ways to work as a translator, from on-site interpreters to document translators. There’s a transition towards a remote workforce, which means companies are becoming more virtual (and there are more virtual call center jobs available!). It’ll work to your advantage if you have some experience in an office call center – but sometimes this experience isn’t necessary, and a previous retail job role may be enough. Working as a graphic designer is a fantastic way to make money from home while using your creative skills every day. If you’re starting from scratch, many sites offer free courses online (check out this course for beginners from Udemy). There’s a lot of competition out there – but sites like Fiverr and Upwork are great places to start for graphic design gigs. Search engine evaluation involves analyzing Google search results and giving feedback on whether they’re relevant, accurate, comprehensive, and timely. Essentially, you’re the human checker of a system of complex algorithms. Search engine evaluators are hired as contractors – and most will be working on a few projects at a time. Check out companies like Appen and iSoftStone for search engine evaluation jobs. With Amazon selling, it has never been easier to start a small online business! You don’t have to have your own website to sell goods (you can if you want, of course!) – Amazon allows you to sell worldwide without a huge investment. Plus, if your items are in demand, it can be highly profitable. There’s plenty of information online on how to start selling on Amazon, and how to make it worthwhile (try this free course by Udemy). Thanks to technology, teaching, which was previously seen as something that can only be done in the classroom, can now be fully remote. If you’re a teacher or tutor but crave to give up your commute, nothing is stopping you from becoming an online teacher. Not a teacher? You can still teach English and earn some extra money on sites like italki. The best thing is that you get to set your own price – and some people are making as much as $80 an hour! If you’ve perused our site, you’ll know that we have covered blogging and the financial success it can bring extensively. If you’re committed to your blog and manage to grow your pageviews, you can make tons of money blogging! Check out this post on how to get started and make money as a blogger, and sign up for our Free Blogging Side Hustle Course! The main thing I want you to take away from this post is: a work-at-home career is more attainable than you think – and there plenty of legitimate jobs out there. However, remember to protect yourself from scams, so that you don’t have to part with your hard-earned money – and can focus on making more of it! And now – check out these awesome money management tips to help with personal finances.